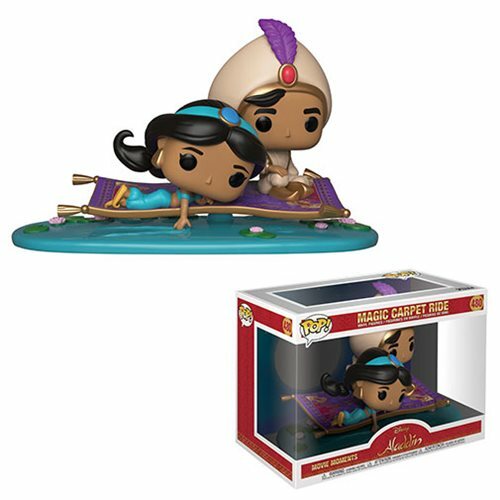 Relive the magic and romance of Jasmine and Aladdin's magic carpet ride over Agrabah with the Aladdin Magic Carpet Ride Pop! Vinyl Figure Movie Moments #480. Ages 3 and up.